At Azhari, LLC, your case is handled with complete confidence and care, with all defense strategies tailored to the details of your case. Simply put, we understand criminal defense. Our law firm aggressively pursues the dropping of charges before your first court date. You can depend on Azhari Law to give you excellent legal counsel and criminal defense representation. From your initial consultation through the final resolution of your case, you can expect aggressive and tenacious defense with a focus on returning optimal results in your case. The Chicago PD and other law enforcement officials in the area are known for being exceedingly tough on crime and working hard to stamp out criminal elements. This, paired with the state of Illinois’ strict criminal code and harsh penalties, can make it terrifying if you are arrested or charge with a crime. Are you going to go to prison? How will you pay the enormous fine? Will your employer fire you now that you have a record? What is going to happen to your family? These thoughts are normal, but you can’t let them paralyze you into inaction. The best thing that you can do to protect your rights and your future is to seek out a knowledgeable and aggressive criminal lawyer who understands the area and has had success handling your type of case.  Chicago defense attorney Sami Azhari has worked for years to help countless people just like you to get their charges reduced, dropped, or dismissed using any legal means necessary. 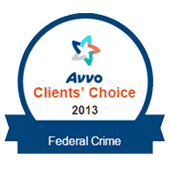 Regardless of whether you are facing state or federal charges, Mr. Azhari will use his skill and in-depth understanding of criminal law to get the best possible outcome for you. Sometimes that means negotiating with the prosecutor for a favorable deal. Other times it may mean taking the case to trial. Unlike many other Chicago-area criminal lawyers, Mr. Azhari has experience – and success – doing both. The path you take will be up to you, and Sami Azhari will be there every step of the way to advise you, make sure that you understand your options, and answer any questions you have. He knows that the criminal process can feel overwhelming when you are in the middle of it, and always strives to help you understand exactly what is going on at every point along the way and make sure you have a voice in what happens to you. Even if you do not see your specific charge on this list, that does not mean Mr. Azhari will not be able to help. Fill out our free online case review form and we will let you know if there is anything we can do. The Illinois Criminal Justice System is complex and the stakes are high. Even penalties for crimes that seem minor often include the possibility of jail time, high fines, and other substantial punishments that can be life-changing. Law enforcement in Chicago and throughout Illinois is not merely tough on crime – sometimes it can be downright overzealous. Rights are ignored. Important legal steps are skipped. Abuse happens. The vast majority of officers do not engage in these kinds of tactics, but that does not mean they are your friends, either. Their job is to get you to confess to a crime or otherwise say something that harms your case, because that makes the job of convicting you easier. You need someone on your side who has been through the process before and understands exactly what it takes to craft a strong defense based on the unique details of your case. Sami Azhari does this for each and every one of his clients, tirelessly working with them to uncover every possible bit of supporting evidence so that he can present you with multiple options and potential outcomes so that you can decide on your strategy together. When you are up against this kind of fight, having a lawyer like Mr. Azhari makes all the difference. With him by your side, these types of things simply will not happen. He will make sure that your rights are always respected, that correct procedures are followed, and that you never say or do anything that they will be able to use against you. Moreover, if he does notice any problems, he will bring them to the attention of the court as a way to both rectify the situation and build a case for having your charges dropped or dismissed. And finally, Sami Azhari can continue to help you even after the conclusion of your case. 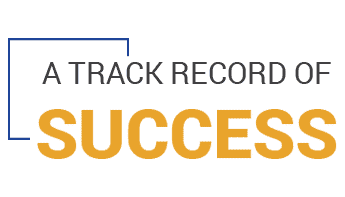 Many people are surprised to discover that they have a criminal record regardless of whether or not they are convicted. This is something that can make it incredibly difficult to live a regular life, since it will show up every time someone conducts a background check on you. A criminal record can cause you to lose out on jobs, apartments, acceptance into colleges and universities, and even prevent you from getting loans. How can Mr. Azhari help? Because he is one of the top expungement attorneys in Chicago. If you are interested in cleaning up your record after your criminal proceedings end, the right man will already be in your corner. How has he managed to garner such respect? By taking his job – and his community – seriously. In addition to his private practice, Mr. Azhari serves as a court appointed bar attorney through the Northwest Suburban Bar Association and volunteers to represent indigent defendants in Statutory Summary Suspension hearings in Chicago. He does these things because he truly believes that everyone deserves the best possible defense and to have their rights protected. Taking and defending depositions of expert and lay witnesses. What goes into jury selection. The best tactics to employ during fact and expert discovery. How to engage in briefing and argue substantive motions. What it takes to get evidence suppressed. He has handled all of these duties in countless cases in courts from Cook County to DuPage, Kane, Lake, McHenry, and Will. This means that he truly understands the area, the political climate, and how local judges and prosecutors operate, and can use this knowledge to your advantage. 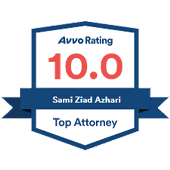 In short, Sami Azhari gets respect – and positive results for his clients – because he understands the intricacies of our complex legal system and employs time-tested tactics and aggressive defense strategies. We live in a world of 24-hour news cycles where outlets are hungry for stories – especially stories involving criminal acts that they can use to entice people to watch or read. Often, the media only wants to focus on the most lascivious parts of these stories and paint suspects in the most negative light possible, so you need a criminal lawyer skilled in dealing with the press. The best time to start crafting the strongest possible defense for your case is always as soon as possible. Prosecutors will begin putting together their case against you as soon as you are arrested, and in some situations even before if there was an ongoing investigation. Waiting to hire a qualified criminal lawyer only gives them more of a head start. So do not delay. 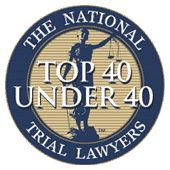 Reach out to Sami Azhari immediately and set up your free initial consultation at one of our two convenient Chicago area locations. We are available 24/7 and ready to serve you – but we will not be able to start until you get in contact with us.